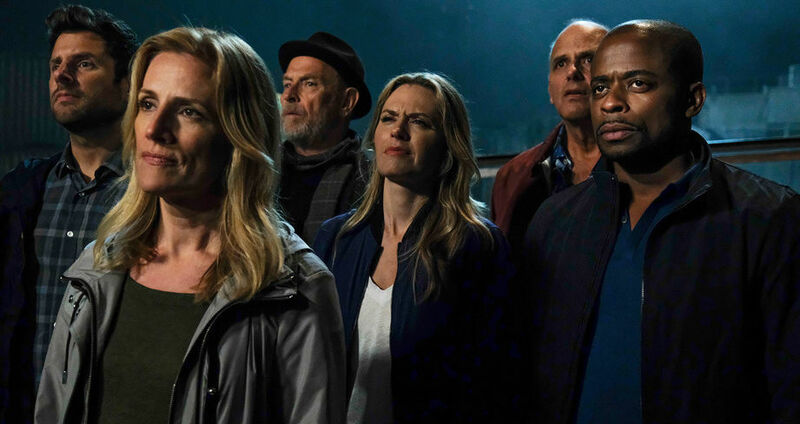 Three and a half years after signing off — effectively marking the end of USA network’s “blue skies” era of television — Psych returned for a 90-minute television reunion on the network it used to call home. From the moment the Psych: The Movie was announced, with the entire original cast set to return, it was dubbed a “love letter” to fans. Recreating the magic of a beloved TV series is often an impossible task and in many cases, it simply falls flat. So while creating a love letter to fans is a sweet gesture, it’s a really tall order. Especially considering the news that Timothy Omundson — who played Carlton Lassiter on the series — suffered a stroke just before filming was set to commence, fans were curious and certainly nervous to see if the magic of Psych could still be replicated. But, right from the beginning, it was clear that Psych: The Movie was going to pull it off…and it was magical to watch. One of the best parts of Psych‘s original eight-season run on USA was that it was campy and weird — and the show really embraced it, often leaning into those campy and weird qualities in the name of comedy. Luckily for all of us, that was the exact framework for Psych: The Movie. The movie picks up three years after the series finale — with Shawn (James Roday) and Juliet (Maggie Lawson) still engaged, Gus (Dulé Hill) still working for a pharmaceutical company to float his and Shawn’s fledging detective agency, and our favorite trio (plus Chief Vick) making a life for themselves in San Francisco. Keeping the movie’s entire setting in San Francisco was not part of the original plan — moving the plot to Santa Barbara was abandoned after Omundson’s stroke — but it actually worked out for the better as it proved Shawn and Gus will always bring the hijinks no matter where they live. When Juliet’s SFPD partner is murdered, it becomes clear very quickly that the overarching mystery all comes down to her. Naturally, and initially uninvited, Shawn and Gus decide they’re on the case. While technically, they should be three years older and wiser, Shawn and Gus are largely still the squabbling children they were in the pilot episode. The film is riddled with references to their old antics — from their signature catchphrases to the dual steering wheel student driver car from the series finale they’re still driving — reminding us that some things never change. Meanwhile, Henry Spencer (Corbin Bernsen), who has gone full middle-aged hipster since his Santa Barbara bachelor pad became riddled with cool twenty-somethings, reappears when his future daughter-in-law is in danger. Weirdo coroner Woody Strode (Kurt Fuller) — who became part of the larger storyline due to Omundson’s absence (but let’s face it, never got enough screen time anyway) — also decides to join in on the fun. In a bizarre but somehow important dream sequence, Shawn is reunited with Mary Lightly (Jimmi Simpson), the Mr. Yang expert who died during the show’s season four finale. It was weird and beautiful. Even the film’s big bad, the Thin White Duke (Zachary Levi, giving it his best Bowie) is revealed to be just a ruse as the real big bad has ties to the show’s original run. Allison Crowley (Mena Suvari), Mr. Yin’s young protegé who was put in prison back in Season 5 is actually the one out for revenge, having kidnapped Chief Vick’s daughter to draw out Juliet and Vick — and the extra four guys. At times the plot runs a little thin and Crowley’s reveal and ensuing chase throughout Alcatraz could have probably seen higher stakes, but honestly, most fans were way more invested in the characters anyway. Plus, the thin plot falls in line with many Psych episodes. 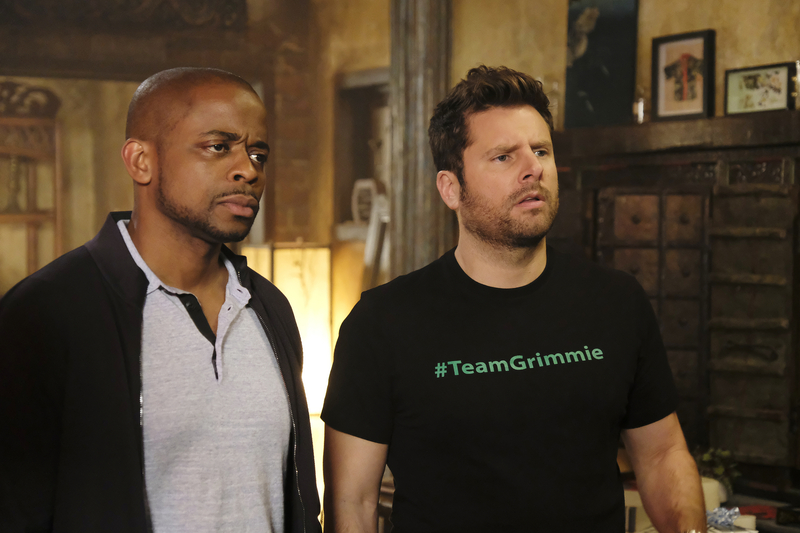 As Roday pointed out to Vulture, many episodes in early seasons of Psych had relatively thin plots, as the cases and actual plot of the episode were often secondary to seeing Shawn and Gus get themselves in and out of trouble. But as much as Psych: The Movie kept up with our favorite familiar tropes, it also saw a bit of growth for Shawn and Gus, which certainly complemented the whole “some things never change” angle. Shawn and Juliet, whose relationship was questioned by literally everyone, finally recovered the stolen engagement ring from the series finale and had a zany spontaneous wedding. Meanwhile, Gus finally found the woman of his dreams, Selené (played by Hill’s real-life fiancée Jazmyn Simon), a fellow solar system buff — whose views on Pluto might be a little messed up. The movie also wasn’t afraid to tug at your heartstrings. Going into the movie, fans were hoping to at least see little glimpse of Omundson, but were realistic about what Omundson’s recovery would actually allow — but his cameo was perfect. As the guilt of her partner’s death starts to sink in, Juliet video calls her mentor back in Santa Barbara, and despite being in the throes of recovery, Omundson gives the most Lassiter pep talk before making a jab at Shawn. I’d be lying if I said I didn’t get a little teary. But after the cameo, you do feel a little bit robbed of Lassiter — but in a good way. Steve Franks, who created the series and co-wrote and directed the movie, has made it really clear that he wants to make more movies and everything about Psych: The Movie, especially the prospect of more Lassiter, completely warrants a sequel and then some. The movie even ends on a cliffhanger, with Shawn and Gus on the run with Juliet’s brother Ewan (John Cena). And I don’t know about you, but I think Shawn and Gus could definitely use help from a certain international man of mystery/art thief. Psych: The Movie couldn’t have been a better love letter to fans. It had everything we loved about the TV series while also progressing the larger narrative forward. The movie has been pretty well-received by critics and fans alike so I’m hopeful that we’ll see sequels to Psych: The Movie in coming years…beginning next year. Or not, but I’ve heard it both ways.